The U17 squad season runs from June to April. For this season’s pre –season, we ran a summer programme which gave the players weekly training during the summer holidays. During the season we now run monthly weekend training camps which may include court training, match play or team building opportunities and also the development league. Each season they will take part in the U17 European championships which involves our home nations in the performance section of the event. Scotland’s under 17’s have returned home from from the Netball Europe Under 17’s Championships in Huddersfield, England. Our #FutureThistles returned home having secured a 3rd place (Bronze) victory. All 12 athletes took to the court over the weekend, securing wins against both Northern Ireland and the UAE. The team took part in 4 games across the 3 days, with the first being against Wales at 12pm on Friday. This was a tightly contested match with Wales just pipping Scotland for the win, full time score of Scotland 46 – Wales 55. Their second match against the UAE was at 7pm that same day. Scotland’s U17’s looked in charge from the get-go, with a half time score of Scotland 35 – UAE 16. Their good form carried them through to achieve their 1st victory of the #NEU17CHAMPS, final score Scotland 72 – UAE 30. Saturday brought the teams third match of the competition, this time against Northern Ireland. A well-rested team took to the court at 5pm and left with their 2nd win of the competition, final score Scotland 57 – Northern Ireland 33. The weekends concluding match seen our Scottish U17’s take on England U17’s. This was a hotly anticipated game with both sides having secured convincing victories over the weekend. Scotland gave it everything but missed out on their 3rd win of the competition, final score Scotland 16 – England 81. Congratulations to all 12 of our #FutureThistles and a special mention to the Management Team, Jayne Duncan (TM), Kimberley Wharton (LC), Frances Doyle (AC), Jacqui Anderson (Physio) for all your hard work over that incredible weekend of netball! For those who couldn’t make the journey to Huddersfield, the games were streamed live across Netball Scotland socials so that supporters back home could continue #BackingPurple. But don’t worry if you missed it, you can catch up on all the action over the week end on Netball Europe’s Youtube Page. 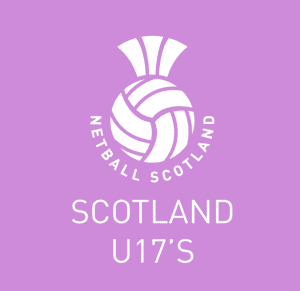 Netball Scotland are excited to announce the athletes successfully selected to represent Scotland at the upcoming Under 17 Netball Europe Championships. This event will be hosted in Huddersfield, England from 1st – 3rd March. For those supporters travelling to support our girls, you can purchase your tickets here. For those who will be #BackingPurple from Scotland, we encourage you to follow the official Netball Europe social media channels for all match updates. To check out the event schedule, click here. 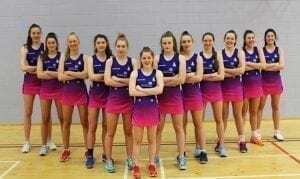 Netball Scotland are excited to announce the U17 long squad for season 2018-2019. Following the trials that took place on the 9th June, 30 athletes have been selected to work towards a place in the final 12 that will compete in Netball Europe 2019. This will take place across 8th – 10th March 2019 (venue TBC).